The KDE Font Control Module allows you to select the font face, style and size for the various fonts used on your desktop. This selection has no effect upon the fonts used in your documents, spreadsheets or other applications. These settings only affect the KDE Desktop and various window components such as title bars and button text. 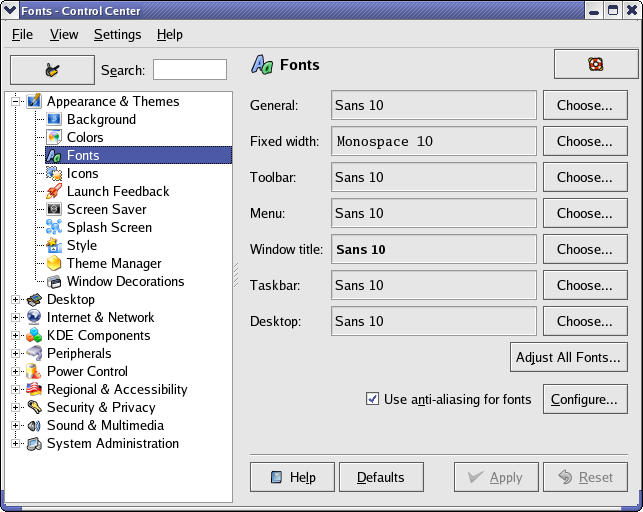 Figure 25: The KDE Font Control Module allows you to change fonts for various KDE Desktop components. To change one of the fonts, click on the Choose button for that component. A new window opens up that allows you to select the font attributes such as sice face and special atrtibutes like bold and italic. If you want to change the typeface of all the fonts, it can be easer to use the Adjust All Fonts button. Choices you make on that menu affect all of the fonts in the list. In many cases you may notice that the standard Microsoft TrueType fonts such as Arial are not present on your computer. This means that many Word Documents will not display or print with the original fonts, but rather with a font substituted by the Linux font engine. 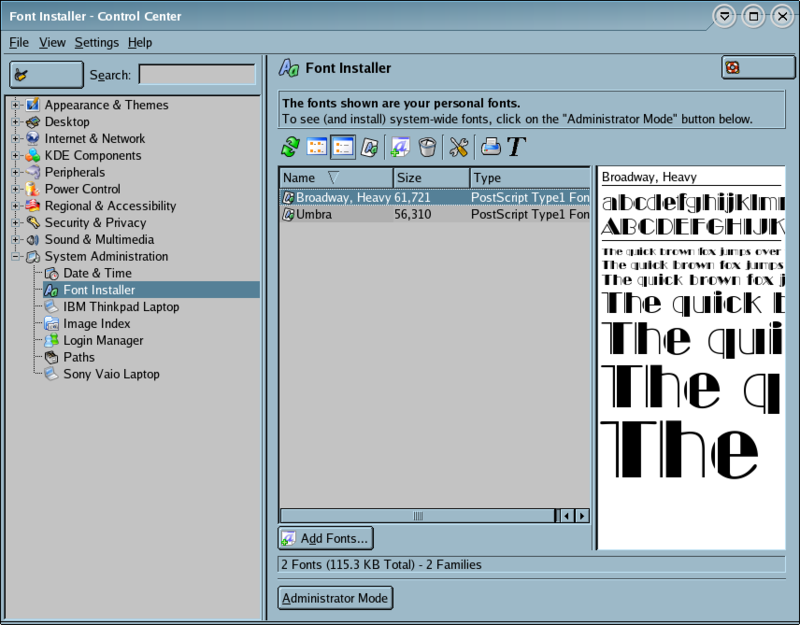 Figure 26: Click on Add Fonts in the Font Installer to add new fonts. You can ask your administrator to install them using the msttcorefonts-1.3-4.rpm package. The easiest way to install this and some other programs that are not supplied with the Fedora Core distributions, is for your administrator to use Fedora frog (http://easylinux.info/wiki/Fedora_frog), a program that allows you to select many programs and features from a menu for installation. This is not for the average end user. You must have root access and many development packages such as the gcc compiler must be installed. 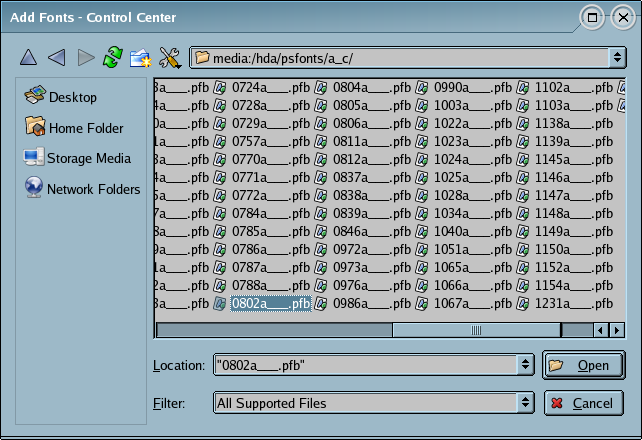 Some of the programs that are downloaded and installed must be compiled. Your administrator should also be careful to not use frog to overwrite Fedora packages that are already installed on your computer. Starting with Fedora 7, The Fedora development team has included a set of fonts called Freedom Fonts that are the metric equivalents of the Microsoft core fonts. Therefore, if you have Fedora 7 or later, you do not need to install the Microsoft core fonts to have documents created under Word look correct in Fedora. You can also install many different fonts as a regular end user. These fonts will only be available to you and not to any other users on this computer. If fonts are to be shared by all users on a computer, they must be installed by the administrator. Figure 27: Select the font you want to install and click on the Open button. To install new fonts yourself, go to the System Administration tree of the Control Center and click on the Font Installer. Then click on Add Fonts and navigate to the location of the fonts and click on the one you want to add, then click on the Open button. There are a number of places on the Internet to download fonts, but I bought mine several years ago. I purchased a BitStream CD-ROM with five hundred TrueType and PostScript fonts, and they all work just fine with Linux. Just remember, that if you want others to see the fancy fonts in documents that you send to them electronically via email, they must have the fonts installed as well. If you print the documents, no one else needs to have those fonts installed on their computer.